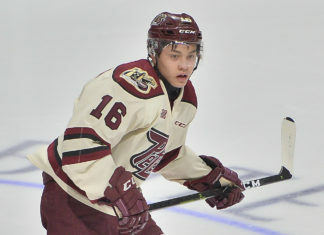 We’ve completed the top 10 of our upcoming September ranking of 2019 NHL Draft prospects. 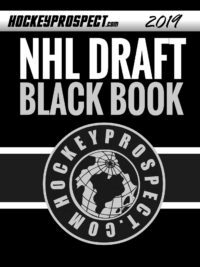 It’s short preview of our full HockeyProspect.com list that we will release next week. We are still working on completing our full ranking, but we decided to release this portion of our list early and post it today. Jack Hughes sits at the top of our ranking and that probably won’t surprise too many people. The dynamic forward is coming off a fantastic year with the USNTDP. 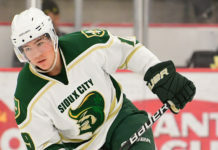 Hughes will hope to get selected number one overall and then jump right into the NHL next fall. Sitting at #2 overall and currently assuming the role of Hughes’ top competition for the #1 overall spot is Kaapo Kakko from Finland. The big winger is already off to a good start with 3 points in two games including two goals. He’s smart, skilled and competes hard all over the ice. Holding down the 3rd overall spot in our ranking is Alex Turcotte, who also suits up for the USNTDP. Turcotte is speedster with a high hockey IQ, great vision and soft hands. Just behind Turcotte is Vasili Podkolzin from Russia. 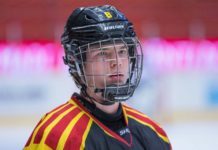 Podkolzin moves up from 9th overall on our list back in June, to 4th overall to start the new draft season. Vasili put on a show with his immense skill at the Hlinka tournament in Edmonton in August. Rounding out our top 5 prospects is Dylan Cozens from the Lethbridge Hurricanes. Like Podkolzin, Cozens got his draft season off to a great start by having a strong tournament in Edmonton. The big centre showed off his great skating ability combined with his 6’3″ frame. The other members of our top 10 prospects are listed below and you can check back next week when we will release our full September ranking of 2019 NHL Draft prospects.